Donald Ray Bolton, Jr., 67, of Troutman, passed away, Saturday, March 23, 2019 at Davis Regional Hospital. Mr. Bolton was born May 6, 1951 in Iredell County and was the son of the late Donald Ray Bolton, Sr. and Lucille Sherrill Bolton. He attended Troutman schools, South Iredell High School and was a graduate of Bandy’s High School in 1970.He worked for Tesa Corporation and Commscope and was a member of First United Methodist Church of Troutman. 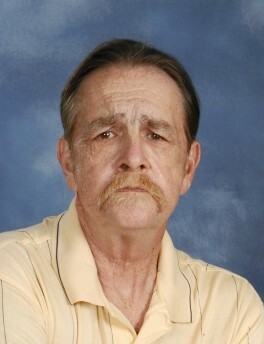 He loved Harleys and riding when he was able and also enjoyed watching Nascar Racing every Sunday. Donnie is survived by his companion, Rosie Miller, a son, Joshua Bolton-Miller (Louisa), two grandchildren, Araina Bolton Miller, Jayce Bolton Miller; a brother, Dean Sherrill Bolton (Maureen) of Lake Norman, a sister, Mary Lou Bolton of Troutman, a niece, Sarah Bolton, a nephew, Nick Bolton, special aunt, Virginia Honeycutt and two special cousins, Worth Bolton and Bronwyn Bolton Dalton..
Troutman Funeral Home is serving the family of Donnie Bolton, Jr.